The Skinny 15 Minute Meals Recipe Book: Delicious, Nutritious, Super-Fast Low Calorie Meals in 15 Minutes Or Less. All Under 300, 400 & 500 Calories. 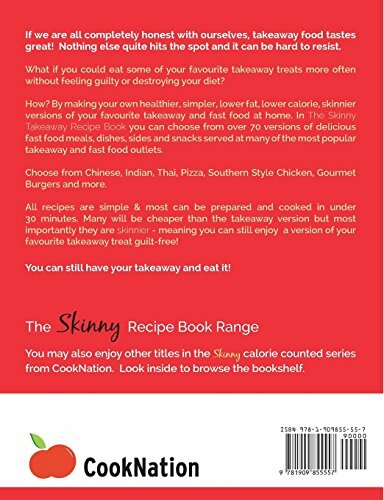 The Skinny Takeaway Recipe BookHealthier Versions Of Your Fast Food Favourites: Chinese, Indian, Pizza, Burgers, Southern Style Chicken, Mexican & More. All Under 300, 400 & 500 Calories.If we are all completely honest with ourselves, takeaway food tastes great! Nothing else quite hits the spot and it can be hard to resist.What if you could eat some of your favourite takeaway treats more often without feeling guilty or destroying your diet?How? By making your own healthier, simpler, lower fat, lower calorie, skinnier versions of your favourite takeaway and fast food at home. 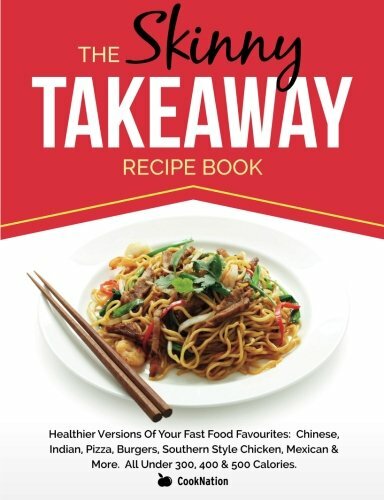 In The Skinny Takeaway Recipe Book you can choose from over 70 versions of delicious fast food meals, dishes, sides and snacks served at many of the most popular takeaway and fast food outlets.Choose from Chinese, Indian, Thai, Pizza, Southern Style Chicken, Gourmet Burgers, Kebabs and more. All recipes are simple & most can be prepared and cooked in under 30 minutes. 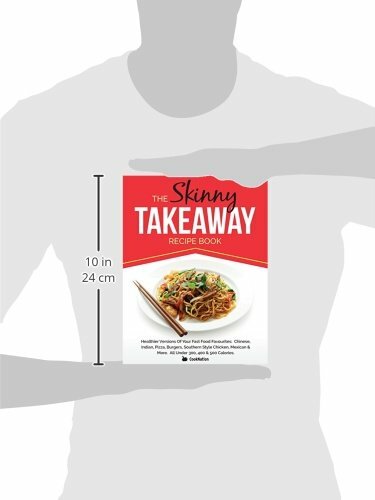 Many will be cheaper than the takeaway version but most importantly they are skinnier - meaning you can still enjoy a version of your favourite takeaway treat guilt-free!You can still have your takeaway and eat it!You may also enjoy other titles from the Skinny calorie counted series. Just search 'cooknation' on Amazon.